Hi Friends: There is a new challenge today over at the Craft Your Passion Challenges blog, where the challenge is Always Anything Goes, and any handcrafted items are welcome. Please visit our fabulous sponsor this week, Digital Delights, to see all of their wonderful products! 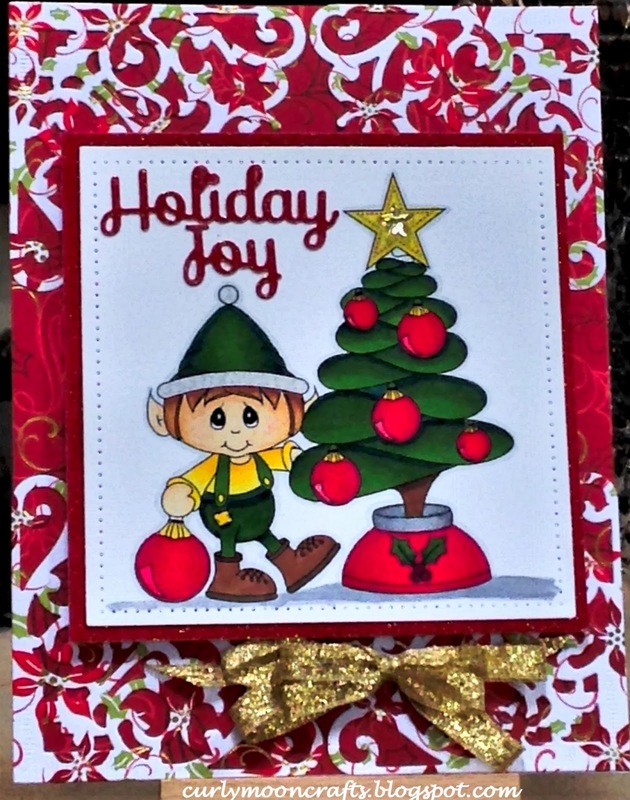 My creation for this week is a Christmas card using the Trimming the Tree digital stamp. I hope that you are inspired by my creation and will join us over at the CYP blog to see the creations of the other design team members and enter for your chance to win a great prize from our sponsor. Thanks for stopping by and have a great CRAFTY day! I printed the digital image onto smooth white cardstock and colored it with my Spectrum Noir markers, then added some glitter pen to the star and the ornaments. I cut the image into a panel using a pierced squares die and glued it to a red glitter paper. I covered the card base with a red and gold foiled paper, then added foiled poinsettia paper that I cut with the Antique Corner die. I popped the focal image up in the center with some foam dots. To finish, I colored a Mirrored Star with a yellow Spectrum Noir marker, added it to the tree, then added a bow to the bottom of the center panel.